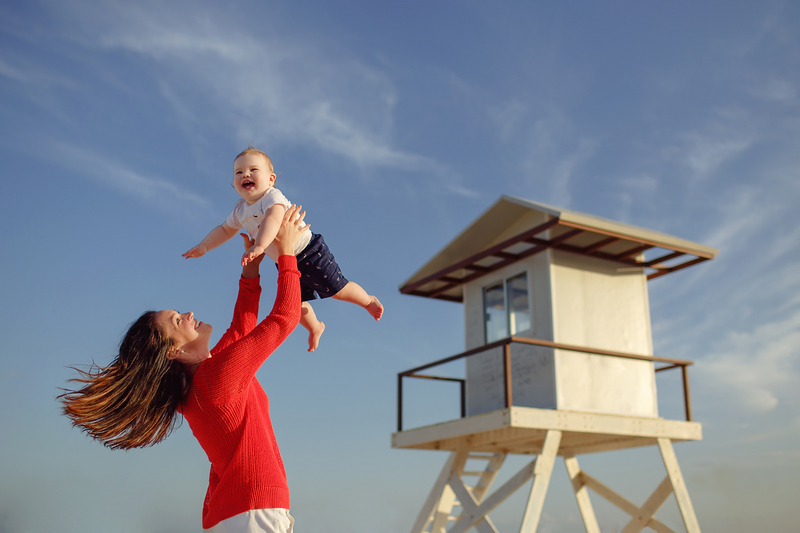 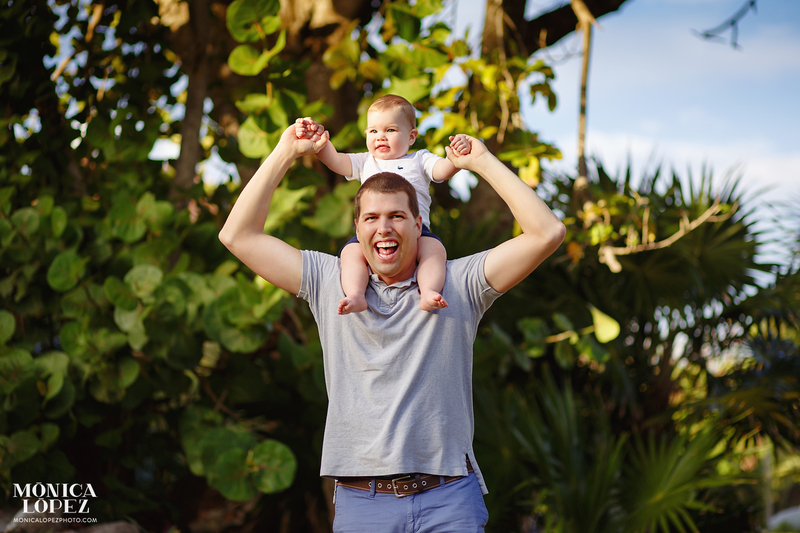 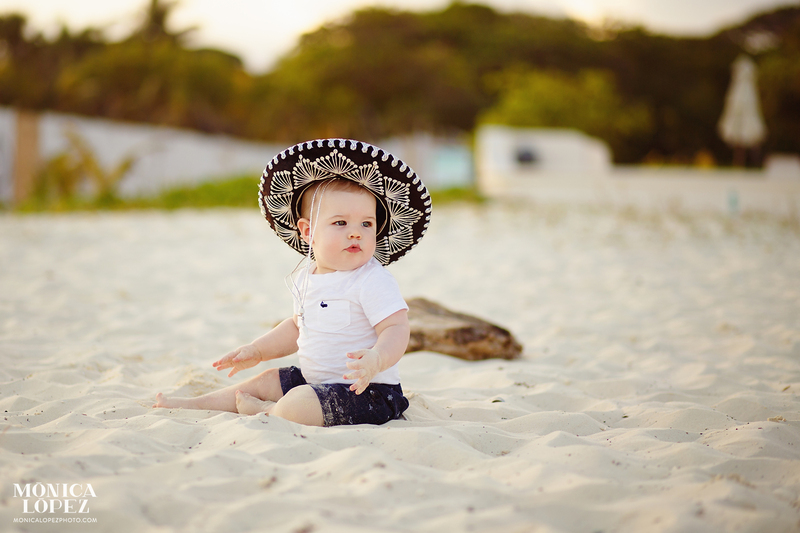 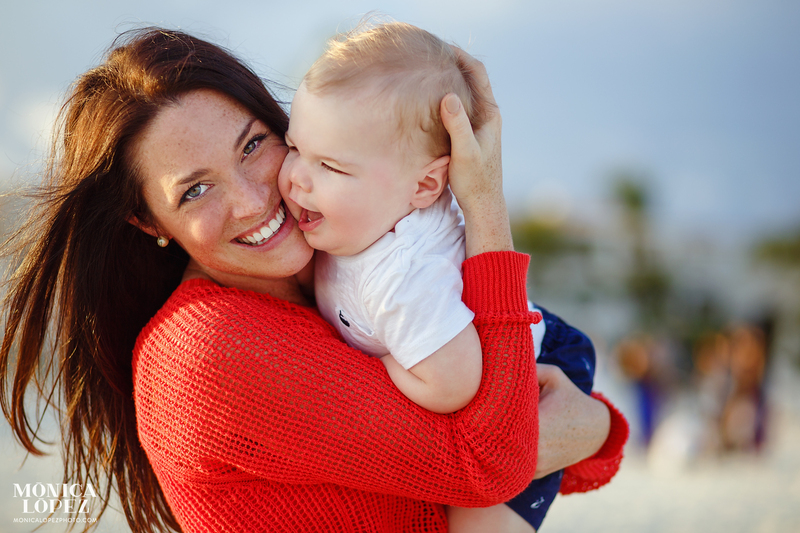 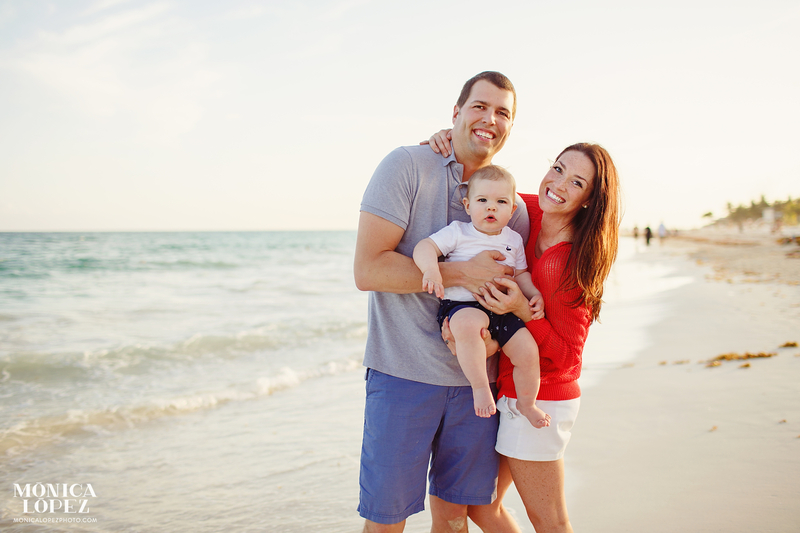 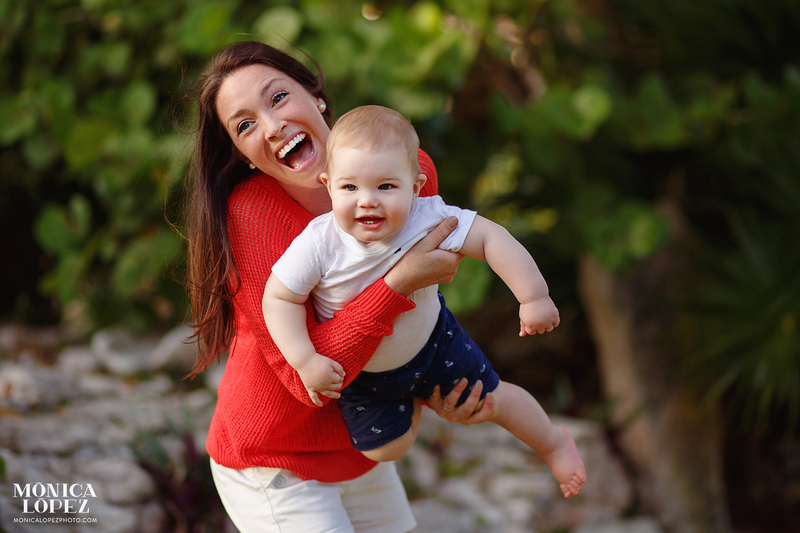 Playa del Carmen Family Portraits – Theo is 1! 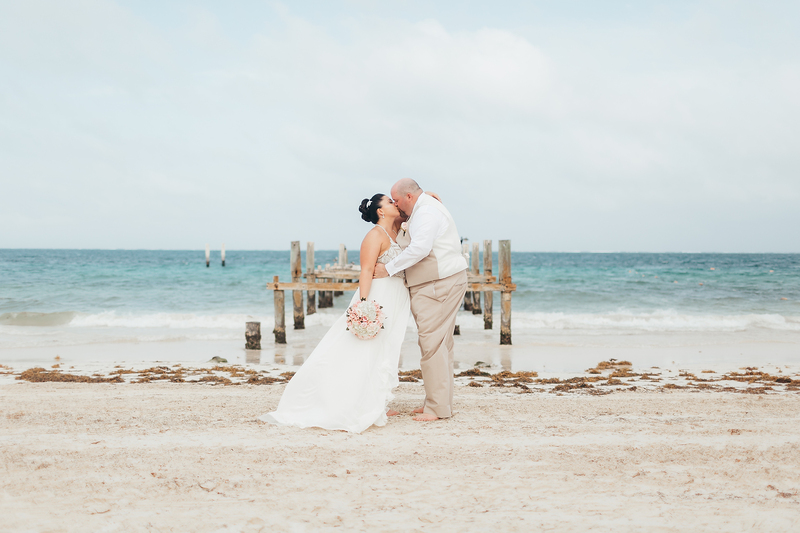 Just down the coast of the Yucatán Peninsula from Cancún, and directly across from the island of Cozumel, is a slightly lesser known, but equally as gorgeous, tropical beach paradise: Playa del Carmen. 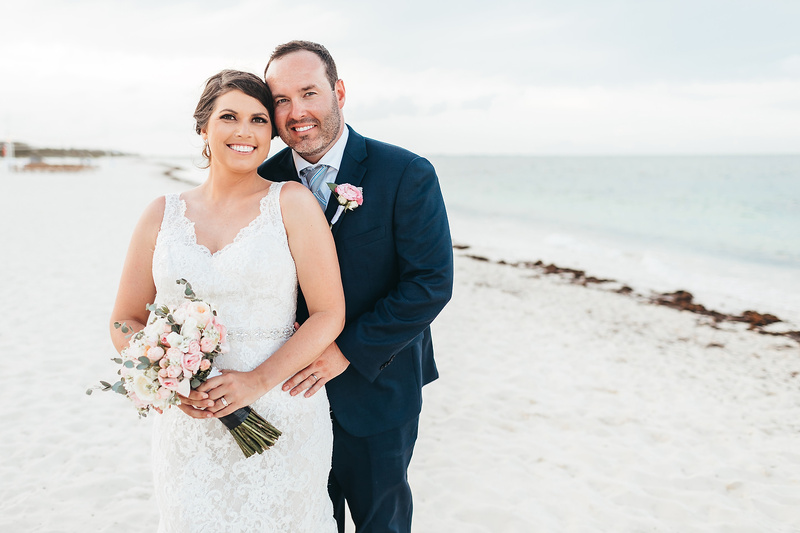 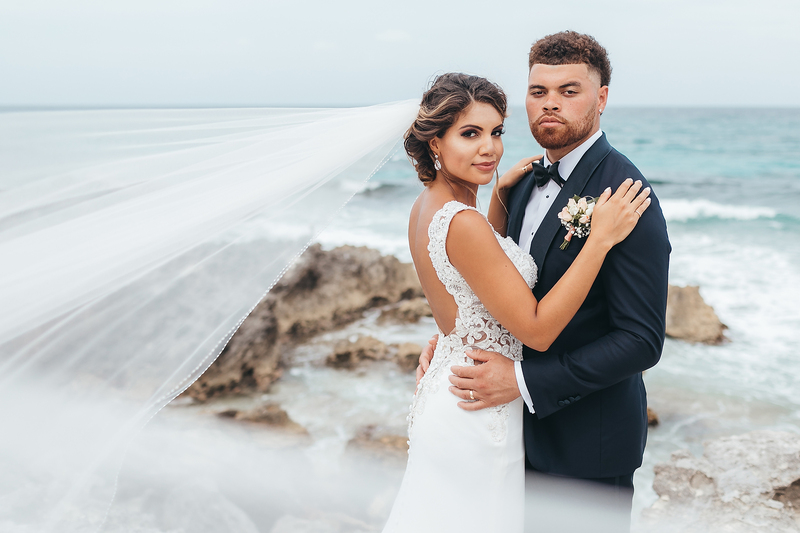 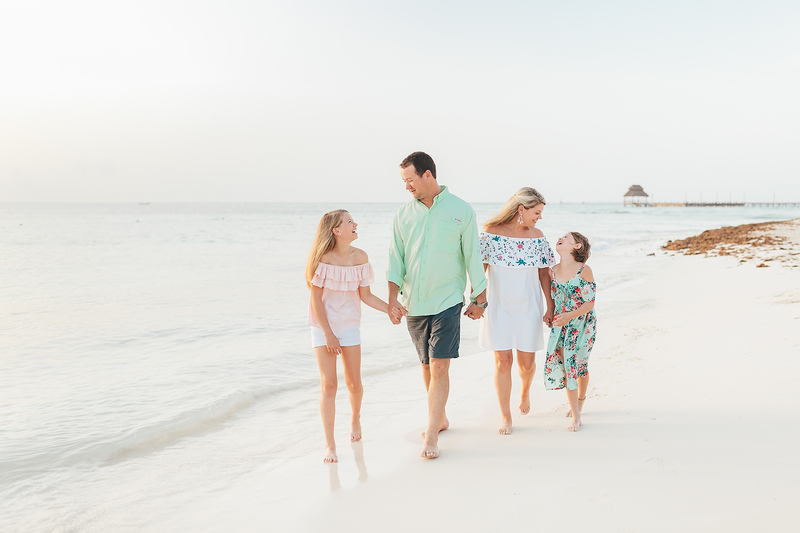 Well known for its beaches, coral reefs, shopping and food, is the perfect vacation spot for a young family to relax and build memories with their first child and have some Playa del Carmen family portraits done during sunset! 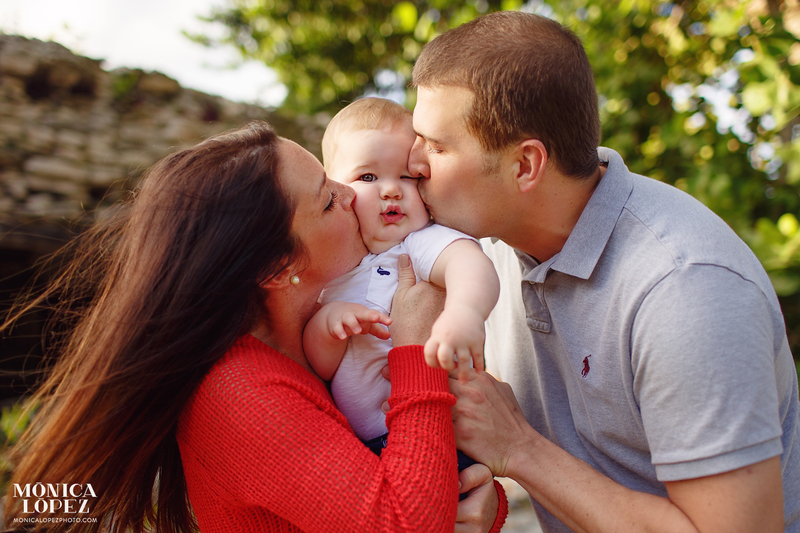 When I met Kacee, Tom and baby Theo, I knew immediately that this was going to be a fun one! 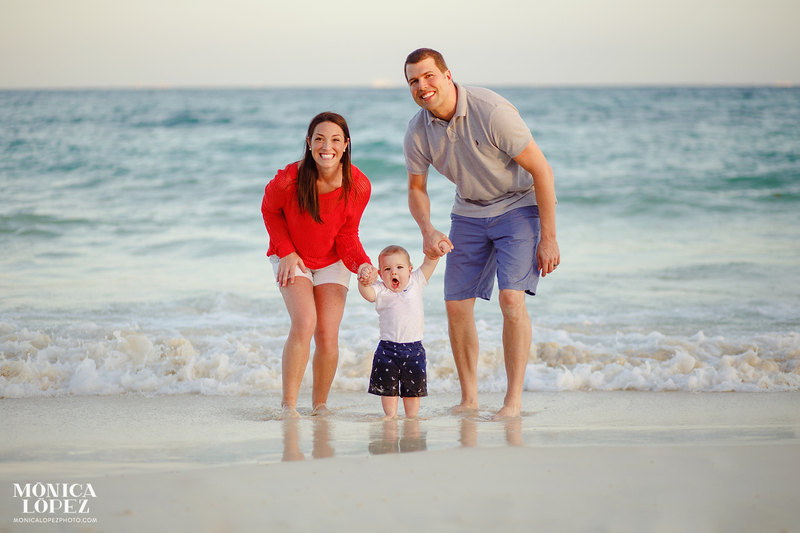 As mom and dad joked and laughed together, their son followed their example, with the only thing interrupting his mile-wide smile being the very serious business of investigating new things. 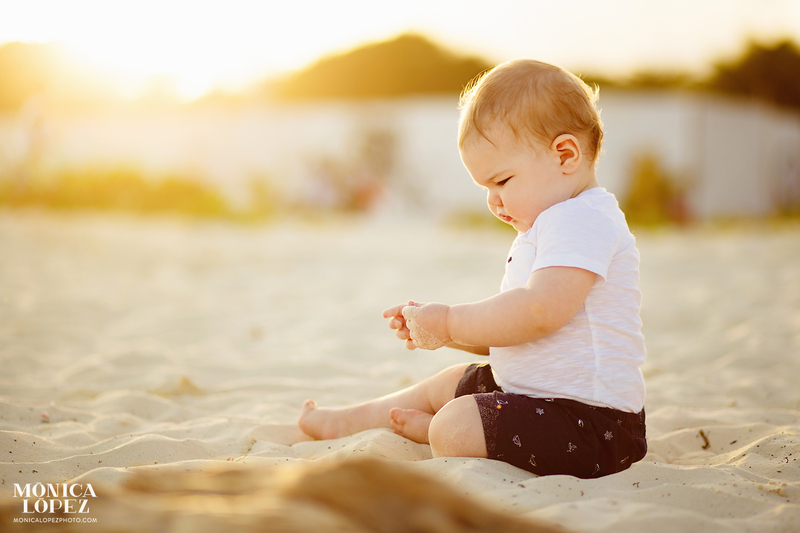 Photographing little Theo as he watched the waves and crawled around in the surf was not only such fun, but produced my favorite pictures from the entire session – it’s like he was watching the raddest thing happening right in front of his eyes – oh, the joy of being a toddler! 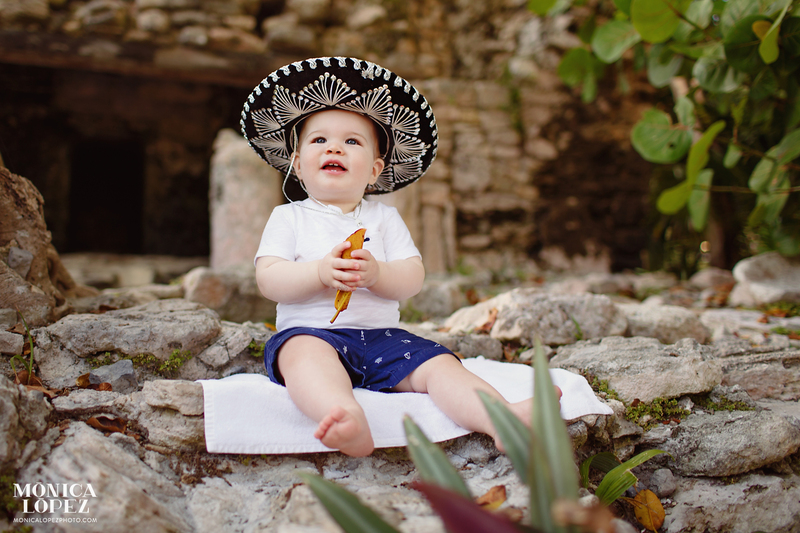 And Theo wearing a sombrero is one of the most adorable things I’ve ever seen. 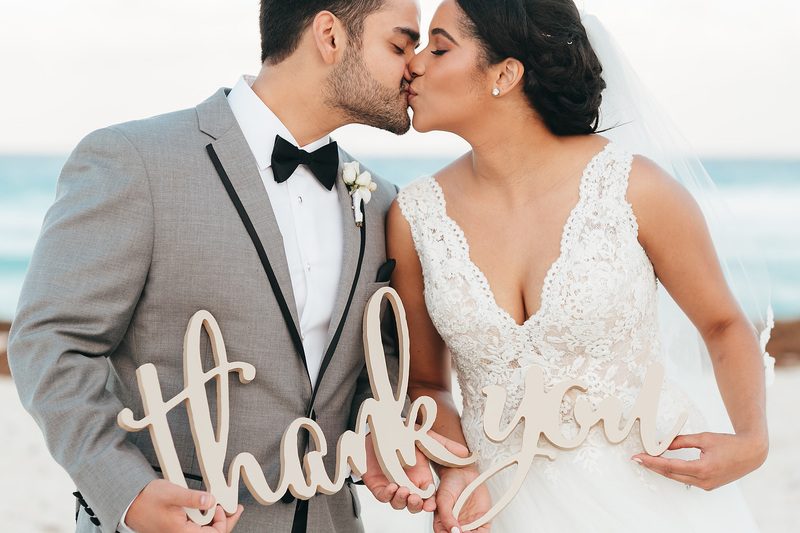 Having the opportunity to capture the vibrant and lively love Kacee and Tom have for each other and for Theo was a pleasure. 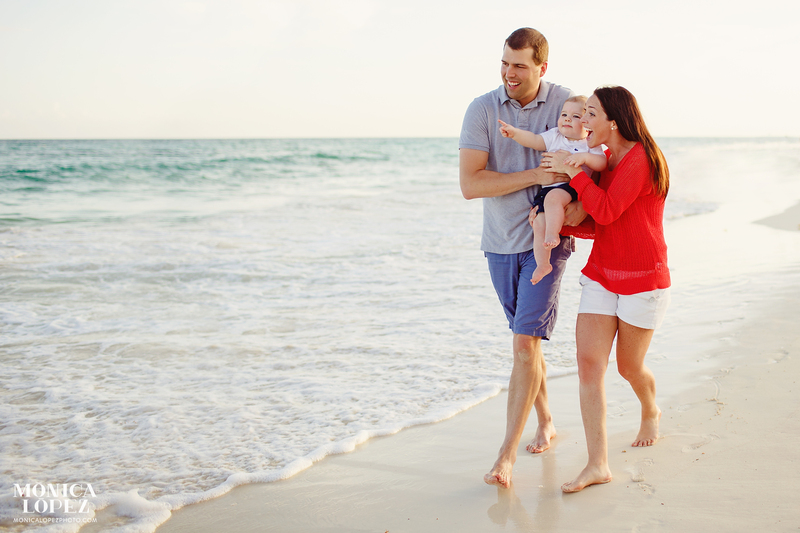 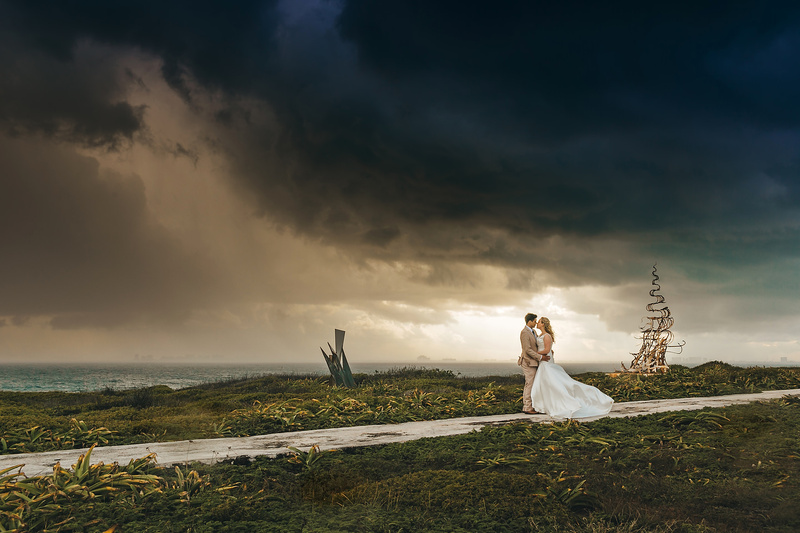 Their joy was infectious, and it infused their photos with a warmth beyond that of the golden sunset. 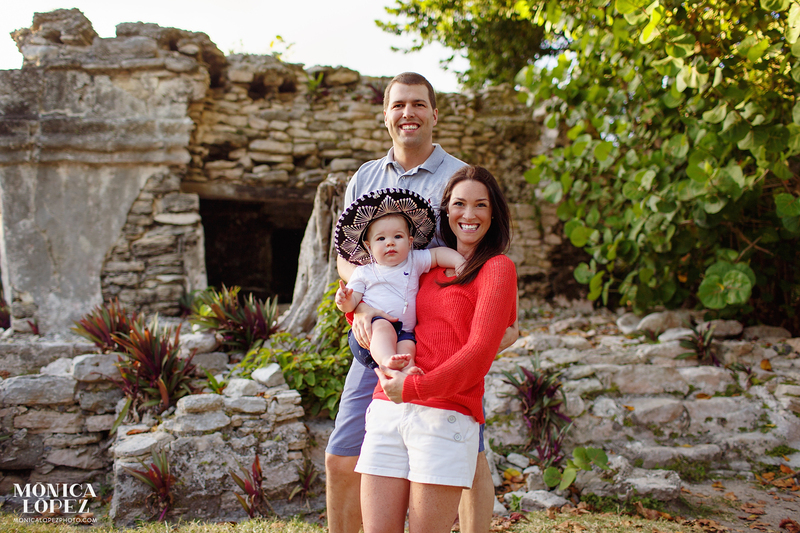 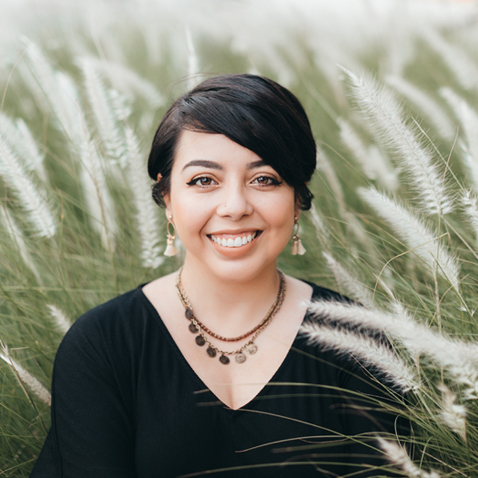 See what a mean by checking out some of my favorites from their Playa del Carmen Family Portraits below.